We’re counting down to NYC Fit Week, a celebration of fitness and philanthropy with 22 of NYC’s hottest studios on board, starting May 11. 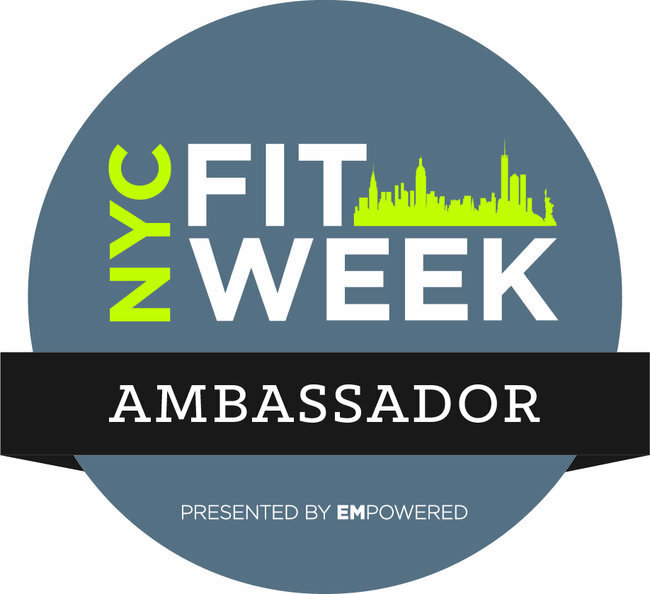 Created last year by my friend Emily Cook Harris, founder of personal training company EMpowered, NYC Fit Week supports education for kids and young adults. One hundred percent of proceeds from all classes benefit two groups: She’s the First and HealthClass 2.0. As a NYC Fit Week ambassador, I’ll be helping to kick things off at The Fhitting Room next Monday at 7 a.m. (because, seriously, who needs coffee when you have Emily?!). There are still a few spots left, so, I’d love to see you there. And, check out the full schedule including cult favorites like Brooklyn Bodyburn, intenSati and 3o5 Fitness. Once you’ve selected your favorites, use code StrengthSole10 to receive 10% off all NYC Fit Week classes. Enjoy and thanks for your support! Pity not in Stuart, Florida – where I am. A very noble endeavor! Still can’t imagine how you summon the energy at 7:00 A.M.!